One of my favourite people has to be Luke Palfreyman, the son of a hosier, local lad made good. 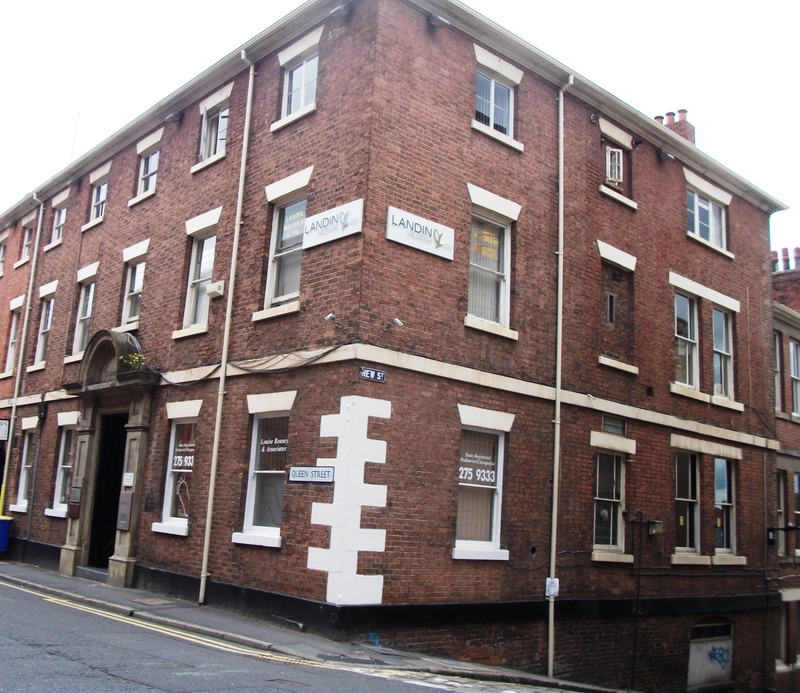 He lived in Queen Chambers close to Fig Tree Lane and Bank Street. His father had a business at the end of Bank Street and Snig Hill, which was around where the Boardwalk or Mucky Duck is now. Luke’s house is a fine big house near Fig Tree lane and Paradise Square. 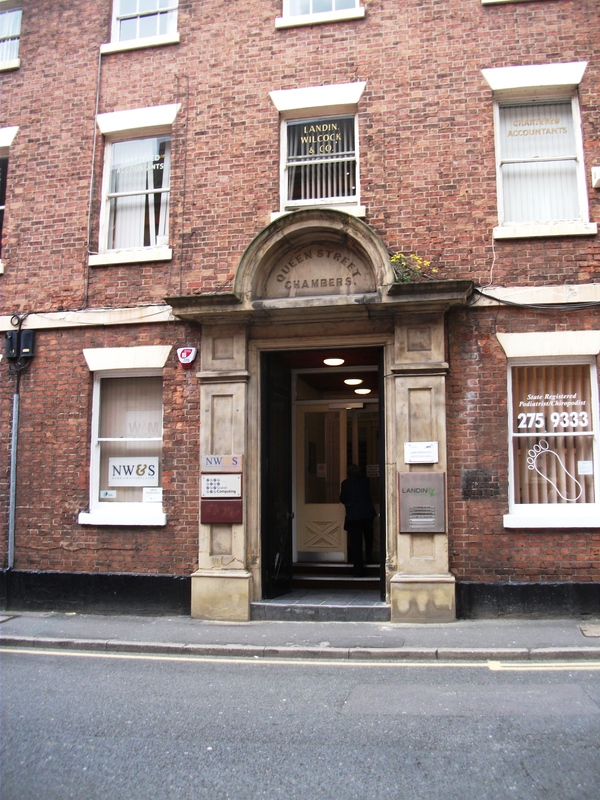 Ideally placed for a short walk to the Town Hall to dispute a case or the market place to collect rents, debts etc or to the grand Tontine Inn across from the Town Hall to discuss Shakespeare or politics. Luke was a Scrivener or Attorney. He was like many in his era involved in pushing for the abolition of the artificially high price of corn and the trade embargos of countries like the United States which was starving the people and crippling industry as they were unable to sell to many markets or were being undercut by French cutlers etc. Luke was also keen for voting reform. Before reform there was only one MP for the whole of Yorkshire. The new reforms brought Sheffield two new MPs and a lot of new voters. Before Luke was born his father, also called Luke was jailed in 1796 for 3 months for being disrespectful to two magistrates. 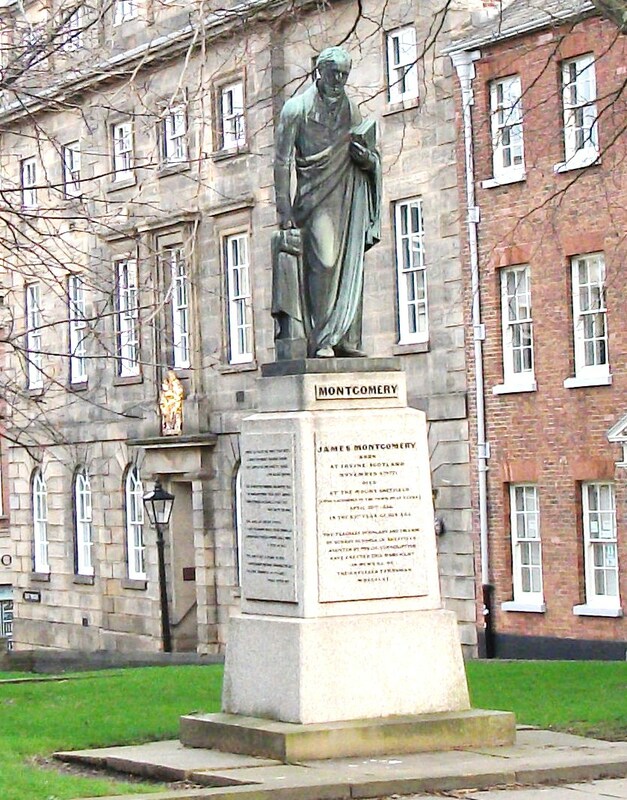 The magistrates had previously stated their dislike of Luke senior who had stood bail for the newspaper editor and poet James Montgomery. Luke Junior was educated at Sheffield at the Grammar School. Luke was a Unitarian and went to the Upper Chapel. The Upper Chapel besides being non-conformist was a place for intellectual debates and science and politics. Perhaps it was this mix that made Luke such a good lawyer. A judge remarked on Lukes ability to argue one case from the management side and another case from the workers side and be able to present the opposing arguments convincingly. When he asked Luke how he did it, Luke just covered both his eyes with sovereigns. In other words as long as he was paid he could do it. 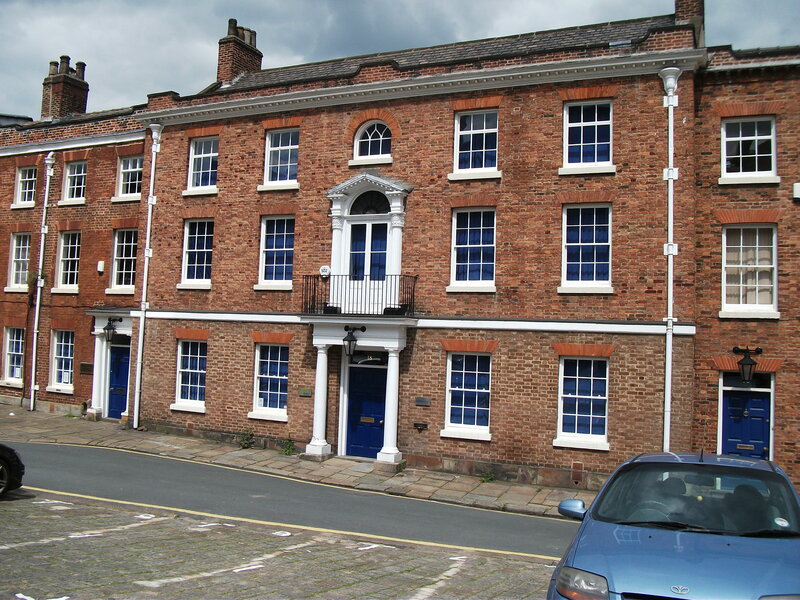 Possibly living so near to Fig Tree Lane (where chartists had their meeting place) and Paradise Squares where most political demonstrations were held was not such a great idea for Luke as he was set upon by demonstrators several times over the years . About seven o’clock or soon after, Mr. Skidmore, a gentleman in my office, came to the Town Hall and told me he had received an intimation that my house was likely to be attacked. I then went home. When I had been at home about a quarter of an hour, I heard a great noise at a distance from my house, and a sound like the breaking of windows. I ran out of the kitchen into the dining room, & before I could get there my own windows were smashed. I immediately seized a pistol, which I had previously loaded with ball, and went out without my hat. I saw a large mob, extending about 60 yards from my house down the street. on coming out with the pistol in my hand, they gave back. The cries at this time were cries of “go it, go it” and other similar expressions, which appeared to be used for the purpose of urging them on to break the windows. On giving back, the noise rather subsided, and I spoke out very loud. I do not recollect the exact words I made use of, but the purport of them was this :-“As for the windows I should not suffer much for them, as the county would have to pay for them ; but I was sure, that if they were men, and I knew, as I believed to be the fact, that my wife was then lying upon the floor, they would go away. If they did not , they would see that I had the means of defending my house, and should try to do so. When I spoke of Mrs Palfreyman, some of them said let us go away. One voice called out “so much the better, got it again” There was then another volley of stones, other windows were broken, and one stone or brick hit me upon the right arm. It is a good deal contused, and much swollen. I walked backwards to the steps of my house, and got upon them. I then fired the pistol I had in my hand over their heads. Mr Skidmore, who came out of the house with me, also fired a pistol, which was loaded with powder, in a few moments afterwards. On his firing, a great number of persons towards the back of the crowd ran off. Mr. Skidmore then came with another pistol and faced the mob. We faced them for four or five minutes (during which no more stones were thrown) and then there was a cry that the constables were coming. 1832 election riots coroner’s inquest Town Hall. What it doesn’t say in this abstract was that Luke had no ammunition after his first shot and had to just prime it with powder and anything he could find to load it with. Another account suggests they were around two thousand demonstrators outside his house. It is a sign of Luke’s bravery I think to stand with his clerk pointing pistols at a crowd of several hundred, knowing that if the crowd ignored them, there was really nothing they could do. After the mob moved on there was several shots heard in the direction of the Town Hall. The alarmed magistrates had brought in the Yeomanry to quell the crowds and five people were shot dead including two boys. 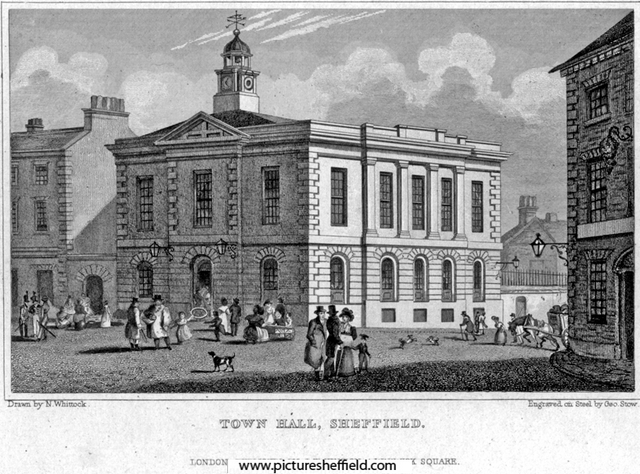 The bodies were laid out in the Town Hall and later a coroner was brought in from Wakefield to lead the Inquest on the dead. The Jury brought out a verdict in favour of Yeomanry.